It was 4 a.m. and Dagim Haile-Leul couldn't sleep. Instead, he sat in the living room with his mom, and they cried. The house was full of family photos of weddings, babies, and graduations. Some of those photos were of his cousin, Yonas Seifu, who was fighting for his life at Harborview Medical Center in Seattle. Weeks earlier — on April 23, 2006 — Seifu was hit in the back of the head by a stray bullet, while at a friend's house. Seifu, then 26, had graduated from the University of Washington with degrees in economics and electrical engineering. He was a consultant with a successful company, and was recognized as a leader in Seattle's Ethiopian community. “It didn't seem real,” says Haile-Leul, who was a senior in a Seattle high school then, and now is a senior at Seattle Pacific University. Tension in the community was high, and retaliation seemed like a possibility. “I allowed my vision to clear. I wanted to change the direction of that momentum and create something that embodies Yonas,” he says. That's how he came up with the idea for Hoops for Hope: a basketball tournament to raise money for Seifu's medical needs and to help bring an end to gun violence. At that time, Seifu could not walk or talk and needed skull surgery. 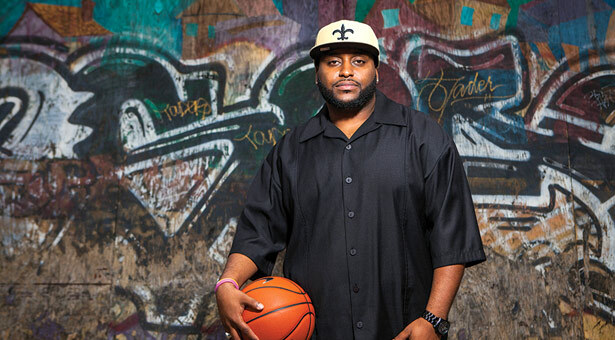 When he heard about Haile-Leul's idea, he vowed to work hard in physical therapy so he could walk into the tournament. “I wanted to be an inspiration for all the people who were supporting me and to show them I'm not taking this lying down,” Seifu says. He only had weeks, but he walked into the gym that August using a cane and wearing a helmet. The crowd of about 800 was speechless. The tournament was far from just a basketball tournament. It was a two-day event that included raffles, free haircuts, hair braiding, guest speakers, dance team performances, a dinner auction, and more. It united Seattle's East African and African-American communities, and raised $13,000 for Seifu's medical expenses. For Haile-Leul, that was not the end of Hoops for Hope, but only the beginning. Tali Hairston, the director of SPU's John Perkins Center for Reconciliation, Leadership Training, and Community Development, loves how Haile-Leul has taken his personal pain and used it as a launch pad to make a difference. After the first Hoops for Hope, Haile-Leul held tournaments in 2007 to 2009 that helped families alleviate funeral costs and at-risk youth go to college. Haile-Leul enrolled at Eastern Washington University, then Xavier in New Orleans, and eventually came back to Seattle. Last year, he transferred to Seattle Pacific and has found it to be a place of rest. “When I first looked at SPU and saw its vision of ‘engaging the culture, changing the world,' it felt like a fit. That's what I felt I had done with my life,” he says. Haile-Leul acknowledges that gun violence is still a huge problem in Seattle. He's gone to three funerals related to gun violence in the last year. At one of them, he watched a fight break out among grieving teens. “Hey, there are alternative ways to deal with this,” Haile-Leul said, and gave the young men his phone number. They called the next day. And that was the beginning of the Hoops for Hope tournament at Seattle Pacific on August 18, 2012. The event drew a crowd of about 300, which included Mike McGinn, Seattle's mayor, and local news media. It raised $500 for the Boys and Girls Club, and 242 youths pledged not to take part in gun violence.